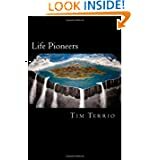 If you need help setting up your plan start by reading Life Pioneers and then call us at TERRIO Therapy to get going. We are here to help you Get Informed. Get Moving. and most importantly to GET BETTER!